Eh? Where did anyone say Dudjom Rinpoche prophesied the construction of large Guru Rinpoche statues would be able to avert the invasion of Tibet on this thread? Did I miss something? Yes I agree there is definitely collective karma in play in the loss of Tibet. But if it is karma then the Tibetans are at fault, they did creates the causes and circumstances to lose their homeland. I am not saying this as a put down to them, nor do I not sympathise with their plight, but to it seems logical to come to such a conclusion. U know the massacre of the Sakyas, Buddha and arhats could not stop it, when karma starts to manifest no power in the universe can stop its resultant effects. No doubt Pabongkha Rinpoche accumulated a lot of bad karma with his actions and he and the Gelugpa involved will have to take full responsibility for that. Thinking they would be free from blame because there was some karma of the Nyingma that was maturing with these actions is to truly misunderstand the Buddhas teaching. I love Je Pabongkhapa such an excellent Lama who gave the gelug lineage the next generation of Brilliant masters, Id sooner take their word of what he was like then what has been said by the jealous and marginalised of the time. Do you realize how many great masters of the period you slander when you say such things? Please stop feeding the fire - seems to me you are stirring the pot well after this post died down. And then people say DW treats them unfairly. With the kind of slander and baseless insinuation your camp has engaged in in the past few weeks you are not in a position to claim the moral high ground nor talk about the "jealousy" of masters of other traditions. I have managed to bite my tongue for the last several months despite seeing the disinformation machine is in full swing again. This message you are trying to promote is not welcome here. As I said to you previously, learn to read Tibetan, consult PK's collected works and then we can talk. Otherwise you are just furthering an agenda without bothering to do the research. You owe it to yourself to use your intelligence to get the tools necessary to speak authoritatively on this. Otherwise you are just repeating what you are told, and that isn't good for any of us. The benefits of modern society and education are that we have access to historical documents and accounts in a way unprecedented in the past. Nothing wrong with being passionate, but make sure that the opinions come from sources and research, rather than devotion and emotion. Glad someone does. I find the latest "announcement" not only ridiculous, but a low blow. Tar and feather by insinuation. Desperate, maybe, but not funny. 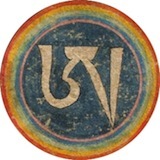 Caz wrote: I love Je Pabongkhapa such an excellent Lama who gave the gelug lineage the next generation of Brilliant masters, Id sooner take their word of what he was like then what has been said by the jealous and marginalised of the time. I think it's a shame that we have to conclude that he was slandered - but given his greatness that was definitely the case. The fact that his students have been so brilliant is an indication of his attainments. Because he refused the play the politics game he made many enemies, including the very political 13th Dalai Lama to whom Je Pabongkha proved his clairvoyance. He also enjoyed a great reputation as a genuine, powerful and heart-felt Teacher who actually had the power of Dharma experience which didn't please some people. Still, in samsara delusions abound so these kinds of problems will continue until samsara ends. We are still seeing it happening now. More crass nonsense from Zach. You are joking, right? He was politically appointed to hold the position he held in Chamdo as the Lhasa government's representative in Kham. The main critics of Pabongkha were not marginalised, political malcontents, they were the leading lamas of the fast growing and highly influential Rime movement, the movement that arguably shaped everything that came after it, including the Gelug tradition. Your knowledge of Tibetan history is sorely limited. I cannot help but assume from your and Caz's posts that you simply repeat verbatim what you are spoonfed by your organization. History is far more complex and layered than you would portray. But fundamentalism likes to slot people into easy categories of "good" and "bad". Of course, the good ones are those who agree with you that your camp is the best. The "bad" or "confused" or "misguided" are the categories for everyone else. Perhaps in some message boards this kind of chest-beating impresses people, but you will find those who post on DW a tad more sophisticated and informed. People here won't buy into it. So, once again, please stop. I'm simply celebrating greatness. I have great faith in Masters such as Trijang Rinpoche and Je Pabongkhapa - I'm not quite sure what you want me to stop. It's currently fashionable to bash the great Masters of the Gelugpa Tradition but it's time for sectarian types to get over it. I'm not in a camp or claiming some kind of superiority, I'm saying that Je Pabongkhapa was a great Lama. I find it interesting that there are people who accuse Je Pabongkha of being sectarian but who are then sectarian in turn. That seems somewhat hypocritical We all have freedom to have faith in whomever we wish to and if these masters were great, then that should be celebrated. I would have no problem rejoicing in someone's faith in their lineage Gurus. Rejoicing is a great virtue. I'm not quite sure what you want me to stop. I don't want you to stop praising Pabongkhapa or his teachings - I don't even want you to change your opinion. What I want is for you to stop saying that anyone who doesn't share that opinion is (in Caz's words) "jealous". Or slandering the 13th Dalai Lama as (in your words) "very political" because he disputed aspects of Phabonkha's teachings. Basically, undermining the reputation of everyone who doesn't see Phabongkhapa in the same way you do is what I'd like you stop. I have no problem with that. Individuals have different karma and therefore see things differently. However, it's okay to criticise Gelug Lamas who don't conform to the views of the 14th Dalai Lama? I think we should practise equanimity here. Of course it is HHDL has big political clout. Who cares for Samaya these days when you can be segregated from the very society that supports you ? How can there be equanimity when an enemy has been made of those who do not follow suit ? Disagree with sure. I also have different opinions from HH from time to time. That's not the issue. The issue is lies, conspiracy theories and misinformation that myself and anyone else who ever lived at the monasteries you claim violated human rights can easily refute. The case that the Delhi High Court threw out, or the cause that Amnesty said lacked sufficient evidence. And in the name of such a disproven, misguided cause, you slander the leading exponent of Buddhism in the world and the winner of the nobel peace prize. Slander and try to make ridiculous murder conspiracies on the web- such as the latest "public announcement" on your hate website. Now it has really gone too far and many who would prefer to remain silent will speak up. Not only do you make yourselves look silly, you upset a lot of good practitioners. And while political campaigns waged and protest signs are funded by your teacher, and other lamas in your camp meet with the PRC Panchen Lamas and embassy officials (documented in photos), you claim to be "non-political". And continuously trying to open the floodgates to this topic on DW is not going to work. You won't be able to drum up support for your misguided cause of misinformation, paranoid conspiracy theories and fundamentalism here. Stick to preaching to the choir. But if you did that you bore even yourselves, which is why the message boards you dominate don't even interest you all that much. You will not find me speaking on this issue anywhere else- I gave up long ago. But when you try to bring this underhanded campaign to DW I feel compelled to say something. And I don't hide behind pseudonyms. There's no point discussing this because it comes close to contravening the TOS of this site, and there's a lot of misunderstanding and projection going on. There's no need to be defensive because I'm not your enemy - the politically-created schism in the Sangha is the enemy of all who want to genuinely practise Buddha's teachings. It's a very sad situation that neither of us can do much about - let's focus on the Dharma instead. Buddhism is peaceful when we do that. Tsongkhapafan I agree. But the "Public Announcement" shows a sort of tar and feather through conjecture operation, and it has gone too far. Things were quiet, and improving, but someone's agenda has again opened the floodgates to projection and misunderstanding. I just really couldn't believe what I read, and I don't think I misunderstood it (English is my first language). It's not a projection either, it is there in black and white. Desperate and very, very dark. A final grasping of straws because of being completely invested in a cause... and in the meantime not caring who it hurts or tears down because the ends justify the means. I would love to focus on dharma and post on various threads on this website, but you and Caz seem to constantly be involved in threads where the discussion starts to veer towards you know what. I don't see much posting by either of you in other topics. JKhedrup wrote: Tsongkhapafan I agree. But the "Public Announcement" shows a sort of tar and feather through conjecture operation, and it has gone too far. Things were quiet, and improving, but someone's agenda has again opened the floodgates to projection and misunderstanding. Khedrup, no one is talking on this thread about the "public announcement". My own feeling is that would have been a reason for it which I do not know - perhaps there were renewed death threats against my Guru as there have been in the past. As I go back over the pages of this thread, there is a lot of Pabongkha bashing going on. You know how upset you become when the Dalai Lama is criticised but the same courtesy is not afforded to those who have the illustrious Pabongkha as their lineage Guru. I can see that Caz got upset by this, and I don't blame him. Is DW open to all Buddhists or only those who agree with the Dalai Lama and who bash anyone who might not agree with him? I see this on other threads as well. It's like some kind of witch-hunt to 'purify' Tibetan Buddhism of the evil demon on sectarianism by being sectarian! How exactly does that work? No one criticises the Dalai Lama on this board - no one is allowed to because they will be instantly banned, but other Lamas are fair game? Is that not attachment and aversion, the very inner poisons that Buddha advised us to abandon in all his teachings? If Buddhists like ourselves cannot at least recognise these poisons in our mind and work to remove them instead of displaying them in petty squabbles on this board, why would anyone reading this be inspired to practise Buddhism at all? I see that you're interested in inter-sect harmony, so let's go from there. Perhaps we should stop this discussion here. It's like some kind of witch-hunt to 'purify' Tibetan Buddhism of the evil demon on sectarianism by being sectarian! Very few. And the board where Caz is moderator allows thread after thread of anti-Dalai Lama lies and hatred. So until you clean house over there, neither of you are in a position to criticize dharma wheel. Your gurus name has never been mentioned here, so relax. As for the letter, I doubt there was any threat. Your teacher was just at a huge teaching event and everyone is fine. It is more a way to use emotion to rally the troops when the cause is waning. I don't really believe that you and Caz are that interested in participating on this board in the sense that most members participate. The scope of your postings is limited to "defending your cause", hardly a solid basis for dialogue. Is that not attachment and aversion, the very inner poisons that Buddha advised us to abandon in all his teachings? I don't know how you can advocate abandoning the inner poisons (one of which is hatred) and in the same posting defend the vile letter in the "Public Announcement", which uses incendiary language and emotional manipulation to tear down a reputation (as the stated goal of website is to achieve its aims through the method of destroying someone's reputation). Since you know the people involved in this website, why not speak up about the hateful language and ill-researched accusations used on it, rather than making lofty comments on moral principles here. Last edited by JKhedrup on Sun Nov 17, 2013 11:33 pm, edited 2 times in total.